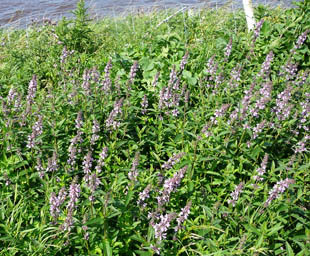 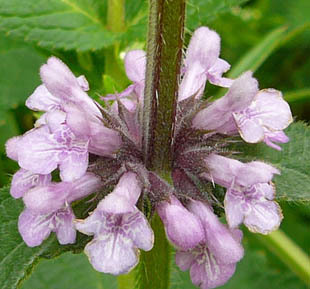 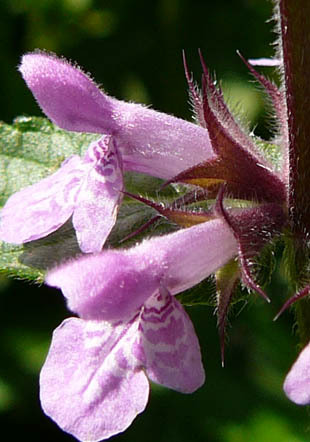 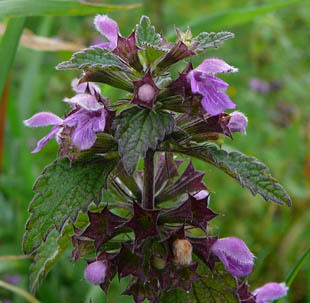 Marsh Woundwort is a native, perennial herb growing up to 1m. 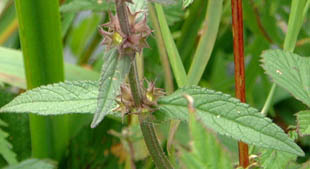 The flowers are in whirls on a spike. 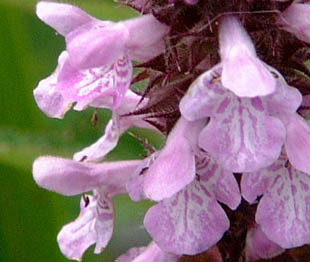 They are pink/purple, up to 18mm and with dark red prominent bracts.